You picked your dream gown, selected the perfect jewelry, and had one of the best days of your life in it. It’s most likely the most important dress you’ll ever wear, but after the wedding, what do you do with it? Hoping to have a little girl one day? Hang onto your dress for her! Have it preserved so that it stays in mint condition. Obviously tastes and styles change, but even if she doesn’t want to wear the dress in its entirety, there are a lot of cool ways she can incorporate it into her day (think Pretty in Pink!). She could use it as a garter, a bouquet wrap or a piece of her veil. At the end of the day, even if she wants something totally new, it will be fun to watch her try it on. 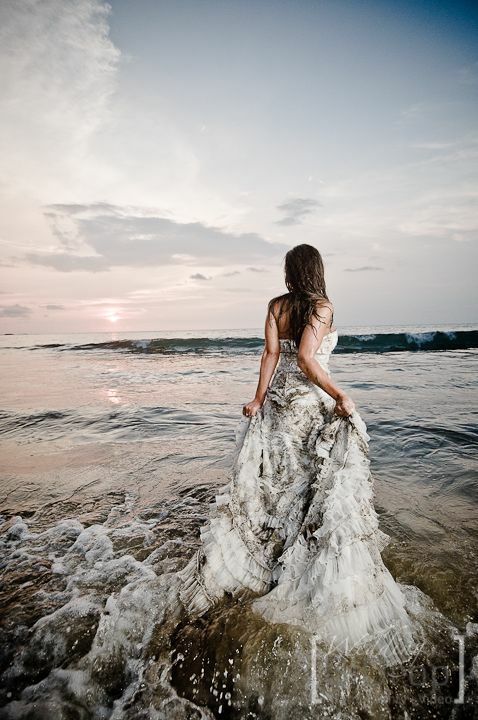 If you’re not the sentimental type but love a good Instagram shot, “trash the dress” shoots are gorgeous. On your first anniversary, rehire your photographer and snag some fun shots of you and your groom trashing your gown! The photoshoots are memorable, fun and definitely unique. We love ones with huge splashes of paint or dives in the ocean. Incorporate that top layer of wedding cake you’ve been saving and go to town! There are plenty of organizations that look for wedding dresses, like Wish Upon a Wedding, which gives dresses to and performs weddings for terminally ill brides. Another option is The Angel Gown Program, which turns wedding gowns into beautiful burial gowns for babies who pass away in NICUs. Brides Against Breast Cancer is a third great cause; they donate all proceeds of wedding gown sales to help fight cancer. Wedding dresses aren’t cheap, and there are a lot of brides in the market for a secondhand gown. According to The Knot, “A used wedding dress in great condition and under two years old can usually sell for 50 percent of the retail price. And, if your dress is a more recognizable brand like Oscar de la Renta or Vera Wang, you could make closer to 60 percent of its retail value.” Instead of taking your dress to a thrift store or secondhand shop, list it online, where thousands of potential brides have access to it. Get it professionally cleaned first, with any holes or tears fixed by a tailor. Find out where to buy used wedding dresses here! 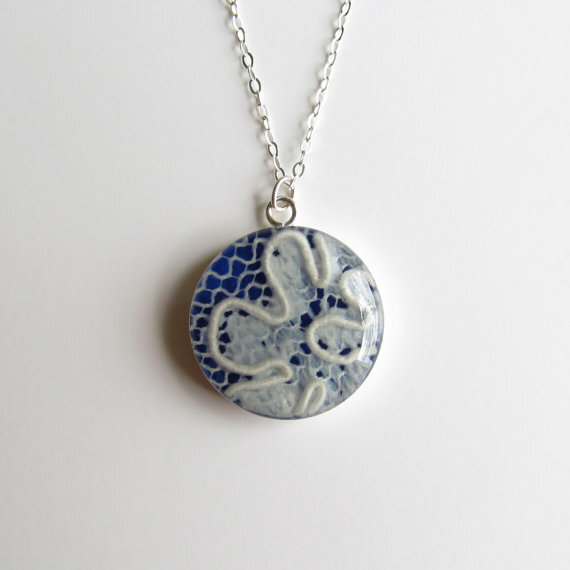 This Etsy shop makes awesome necklaces out of scraps of your wedding gown. It’s a great way to continue to show off how intricate and lovely your dress was. Or if you’re feeling crafty, do a DIY with your gown! Make cool art for your bedroom, a unique pillow for your couch, or another fun piece of jewelry. Face it, you’re even less likely than the bridesmaids to wear your dress again! But if you really love the gown, there are any number of things you can do to make it re-wearable. Have it shortened, or dye it your favorite color to wear it to another event. Obviously, if you have a huge princess gown, it may be hard to find another acceptable event, but if you chose a more form-fitting style, you might be able to make it work. A lot of blood, sweat and TLC shows went into finding your wedding dress. You don’t want to just leave it hanging in your closet with zero plans the next thirty years. Whether or not you have strong emotions tied to your dress, there are plenty of options for after the wedding—choose the one that’s perfect for you! The wedding dress repurposing ideas you give are great. I like the one to have it altered so that you could wear it again. I do not like collecting thing that is not being used so this is great, that way it can be worn again. 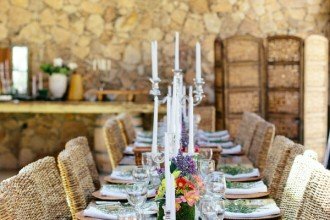 Do We Invite All of the Out-of-Town Guests to Our Rehearsal Dinner?